I was cruising the Internet and came across this totally FAB clothing line – LIVE TO LOVE Apparel. Live to Love Apparel is a clothing company with efforts to bring you simple, one-of-a-kind apparel. Each shirt is hand-dyed with lots of love so that every end product is unique and no two shirts are alike. Of course, they are an indie design company, so you should give the some love. Shirts cost between $18-$21. For the guys – I still give love to the guys – I saw these X-Men printed fitted hats. I LOVE a dude in a fly fitted cap, leaned to the side – a la Young Jeezy style. AND, who doesn’t love the X-Men, it’s a classic! 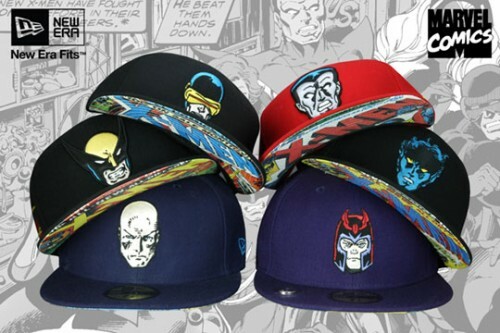 Each individual cap is comprised of 100% wool and feature an original X-Men comic covers printed on the undervisor. The available characters are Wolverine, Colossus, Nightcrawler, Cyclops, Professor X and the infamous Magneto. Special attention to detail have been given to more memorable personalities Magneto and Wolverine. The latter features a three clawed rip while a magnetic pendant is featured on Magneto’s visor. These will be released in the New Era Flagship stores and selected stockists this Friday, March 20th.